Life is impermanent. We know that. It’s as certain as death and taxes. It may be the only certain thing, yet we don’t want to see the loss of species on our one and only planet. The planet contains multitudinous animal and plant life, yet human impact has caused an alarming number of species to disappear. Is this part of natural selection and evolution or is this a consequence of humanity’s dominion over the earth? How much have we lost in our lifetimes? I have never seen a Northern White Rhinoceros. My children have never seen a Northern White Rhinoceros. There are only five left on the entire planet. There is one in the zoo in San Diego and the Czech Republic, and there are three left in a preserve in Kenya. The one pictured above just died in San Diego from old age. Just last week, preservationists at the Ol Pejeta animal sanctuary in Kenya conceded that their one male and two female northern white rhinos will not reproduce naturally. The animals were flown from the Czech zoo to the Kenyan conservancy in December 2009 in hopes the natural environment could be easier for them to breed there than in captivity. Efforts will now be made to keep the species alive through in vitro fertilisation. That experiment could take place with a southern white rhino surrogate mother. 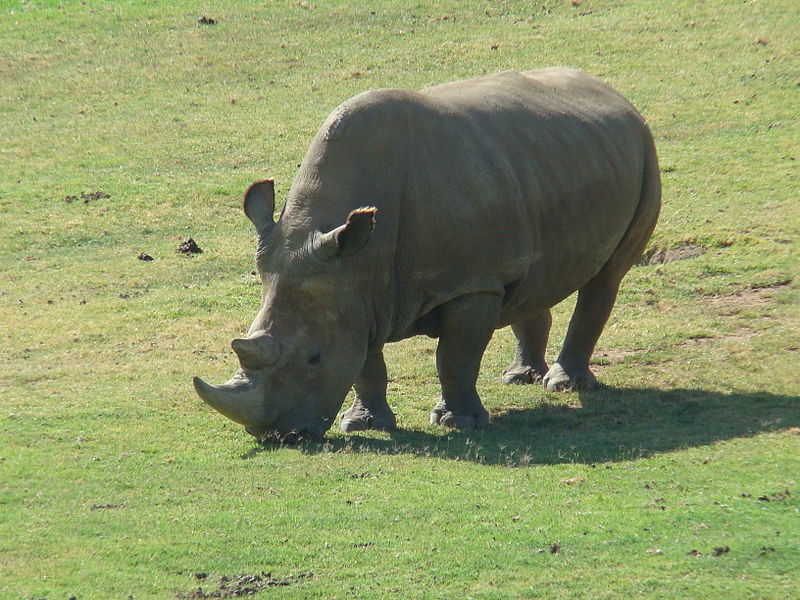 Southern white rhinos almost went extinct at the end of the 19th century, plunging down to only 20 at one point. Decades of conservation efforts gradually brought them back to life. I want the rhinos to survive. I want them to survive for my children. I don’t care if they ever see them. I just want the planet whole. I really can’t grasp that there are only five of a species left on earth. It’s so sad. I don’t like the idea of extinction. I remember learning about it as a child and grasping the finality of it. Extinction. Over and done. I want my children to know about endangered species, and I want them to protect them. We have endangered species in our own neighborhood, and the US Fish & Wildlife Service has a great interactive map to help you learn about your local species in peril. I am thankful for those that have dedicated their lives to species preservation. The Northern White Rhino may be the canary in the coal mine. Our whole planet is endangered. « Juil copper dot earthing shoes connect you to earth!